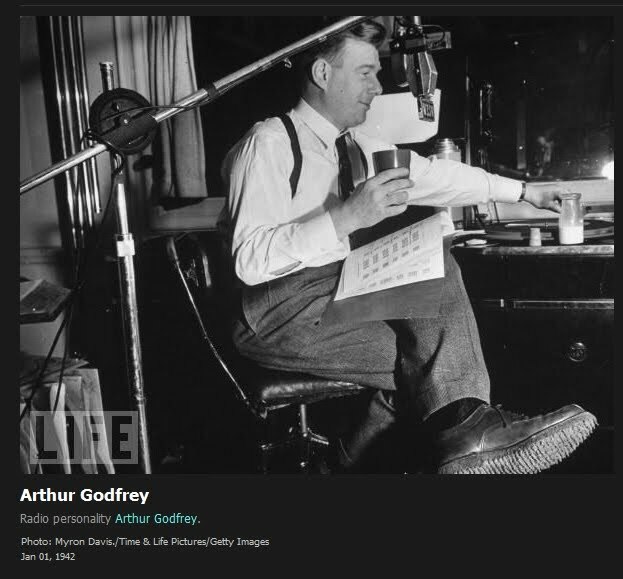 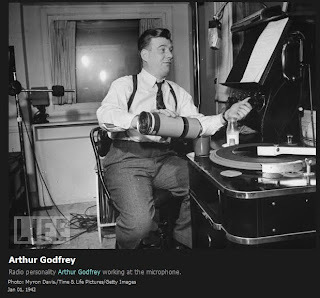 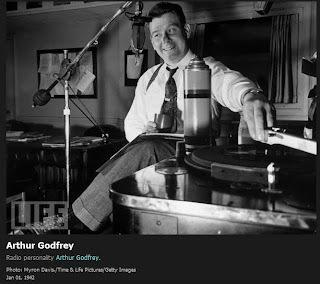 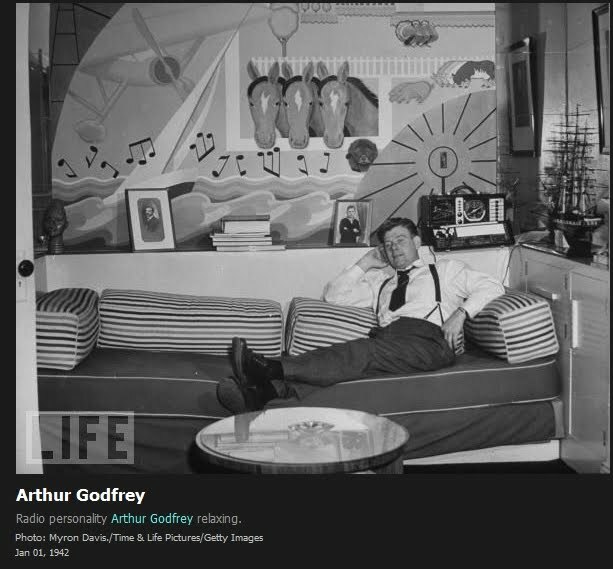 It's hard to describe to young people today how enormously popular Arthur Godfrey was in his heyday. 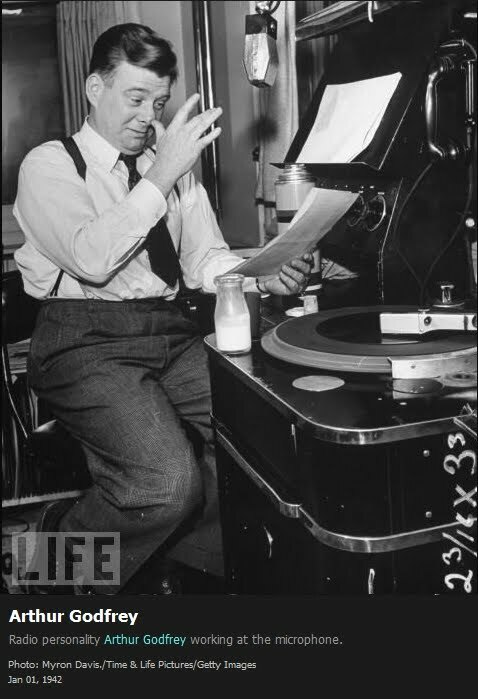 He began his career, of course, at WTOP...(WJSV).back in the Earle Building days. Our friend Bob Bell sent these pictures from a 1942 LIFE magazine feature.